Shield your personal assets from business liabilities. The flexibility to run your business as you wish. Shield your personal assets from business liabilities. The flexibility to run your business as you wish. Where are you forming your business? We personalize all legal documents to the laws of the state you select. Many business owners form in the state where their business will be located. Do you have a Nevada location or conduct sales and/or services in Nevada? What will your business be doing? Your answer helps us personalize your legal documents. If you don't see your activity, or have multiple activities, you can select "Other" and type it in. What will you do in Professional? Please best describe your business. Your answers help us personalize your legal documents to the needs of your business. Are you forming a Professional LLC? A Professional LLC is formed by licensed professionals in fields such as medicine, law, accounting, and architecture. If you are required to be licensed to practice your business in your state, you may need to form a Professional LLC. What are the details of your business? Your answers help us personalize your legal documents to the needs of your business. An owner (legally called a "Member") can be a person, a company, or a legal trust. Are you forming a new business? The majority of our customers form a new business. However, some convert their existing business into an LLC. Will your business have employees in the next 12 months? The majority of our customers end the business fiscal year on the last day of December. Will your business automatically dissolve on a certain date? Most businesses are formed without a dissolution date. State law requires businesses to use a street address. PO Boxes are not allowed. If your business is run out of your home, you can use that address. In Alabama, the legal name of a business must be unique from other businesses registered in the state. We'll check the availability of your legal name choices before forming your business. In the unlikely event your first choice is not available, we will try to use your second choice. Please enter the desired name of your business. Unless you specify otherwise, we will add ", LLC" to the end of your business name. Because duplicate names are not permitted, we will check the availability of your business name. If your first name is unavailable, we will check your second name. Will you be doing business under another name? Nevada allows businesses to use multiple names. For example, a business formed with the name Coleman & Coleman LLC could also do business as ("DBA") the name "Burger House". In Alabama, an owner of an LLC is called a "Member". Please enter the name of the owner of your business. Who will manage your business? In Alabama, you can give other people or companies (called Managers) the authority to manage your business (e.g., open bank accounts, write checks, sign contracts, etc.). Selecting a registered agent for your company is not only smart business, it's required by law. Blue Chip can help protect your privacy as well as keep you in good legal standing by providing reliable and affordable registered agent services. Since BlueChip registered agent service only starts when your LLC is legally effective, there is no immediate charge. When we receive official notification that your LLC has been registered, your card will automatically be charged $159. The service renews automatically each year thereafter for the same price, billed to your card, but you may cancel by assigning a new RA then calling us. We can help your business get a federal tax identification number as well as a consultation on best practices to maximize your tax savings. Do you want help getting a federal tax ID (EIN)? Most businesses are required to obtain a federal tax identification number (also known as an EIN) from the IRS. This number is used when filing tax returns, opening business bank accounts, or paying employees (if applicable). Additionally, an EIN keeps your personal social security number private in business transactions. We can do all of the work to obtain the tax identification number for you. One-time fee of $49 applies for this service. Yes, please obtain my tax identification number. 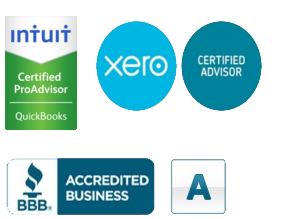 While Blue Chip handles your bookkeeping you can focus on the growth of your business. No thanks, I will do bookkeeping on my own. Taxes are a big part of keeping a company in compliance. Avoid the hassle and prevent taxes from becoming an IRS problem by having professional CPAs do the work for you. This information is required by the IRS on the EIN application. To save you time, we've preselected the most common answers. This is not common. Goods subject to excise tax include items such as fuel, tires, and fishing equipment. The IRS requires the contact information and social security number of an owner, manager, or president for tax-related matters regarding your business. YOUR FILING MAY BE DELAYED if you don't provide your social security number. It is required by the IRS in order to obtain your unique Federal Tax ID. Keeping your business compliant can be expensive if you miss a filing. For example, in Alabama, failure to file your Privilege Tax Return means an immediate financial penalty, a penalty that continues to grow every month the report remains unfiled. Not every Alabama business owner knows what needs to be done to be compliant with the Alabama Department Revenue. Let us take the hassle out of keeping your company compliant so that you can focus on running your business. I will do the compliance work myself. Either Compliance Package is offered as a trial for 30 days with your business formation order. Cancel at any time with no further obligation by calling (888) 310-0151. If you do not cancel during the trial period, benefits will continue and your credit card will automatically be charged the annual fee for the package you selected above. Your compliance package will renew annually to your credit card at the same price. For full details, please see our Subscription Terms. *In Alabama, an authorized company representative or tax preparer can submit a corporation's Privilege Tax Return. As a benefit of your Full-Service Compliance Package, an independent tax professional will complete this filing on your behalf, at your direction -- at no additional charge. You are responsible for paying any associated filing fees and tax obligations. ✝Please Note: You are responsible for paying any government filing fees. If additional information is required to complete your filing, you must provide it at least 15 business days before the due date of that filing. We will reach out to you up to five times - three times by email or text message and two times by phone. If the filing cannot be completed because of your inaction or error, or because you did not pay the filing fees, this guarantee will not apply. This guarantee does not apply to the filing of your federal and state business income tax returns by independent tax accountants. As a business owner, you're responsible for making sure your business has the proper federal, state and local permits to operate legally. To make your job easier, our trusted partner will provide you with an overview of all the licenses, permits and tax registrations required for your business as well as the application forms to file with the appropriate licensing authorities. The first 30 days of membership are included with your order. By selecting "yes" below, you will be signing up for a 30-day trial of Business Advantage. After the 30-day trial period, your benefits will continue automatically for $7.99 per month. You may cancel at any time with no obligation by calling 888-264-1367. We'll send you periodic emails about your benefits, which continue until canceled. A great domain name can help your business by giving customers an easy way to find your website. You can register and lock down your domain with our partner, Web.com for a year trial. This offer also includes a free consultation with a design expert on creating a professional-looking website that helps attract customers online. By selecting yes, you are providing your express written consent to Web.com and its affiliates Network Solutions and Register.com ("Web.com") contacting you using the information you have or will provide us, and consent that Web.com may monitor and record these communications to assure the quality of service or for other reasons. Your consent is an agreement that Web.com may contact you via residential and/or mobile telephone numbers, and/or text messaging, including through automated dialing equipment and pre-recorded calls. You are not required to give your consent as a condition of purchasing with Web.com. After the 30-day trial period, benefits will continue automatically for just $29.99 per month. Cancel any time with no further obligation by calling (877) 818-8787. We'll send you periodic emails about your benefits, which continue until canceled.